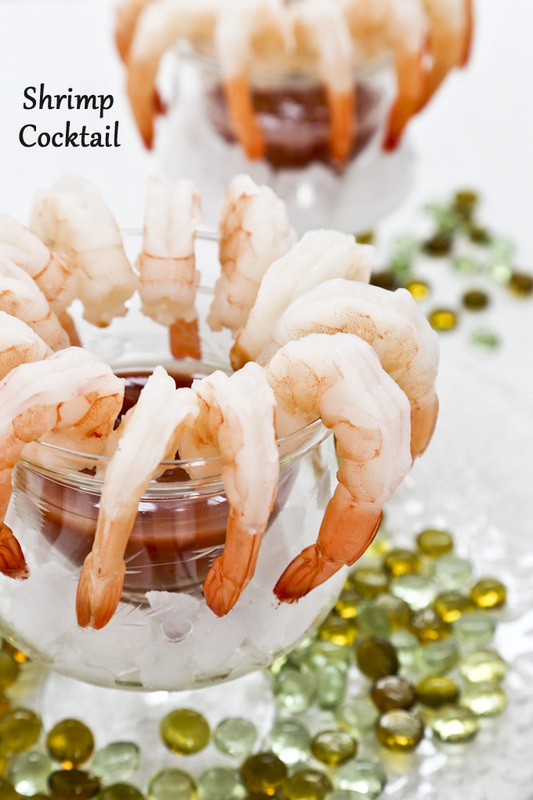 A delightful succulent Shrimp Cocktail with a slightly spicy and tangy tomato and horseradish sauce to start off your meal or holiday party. 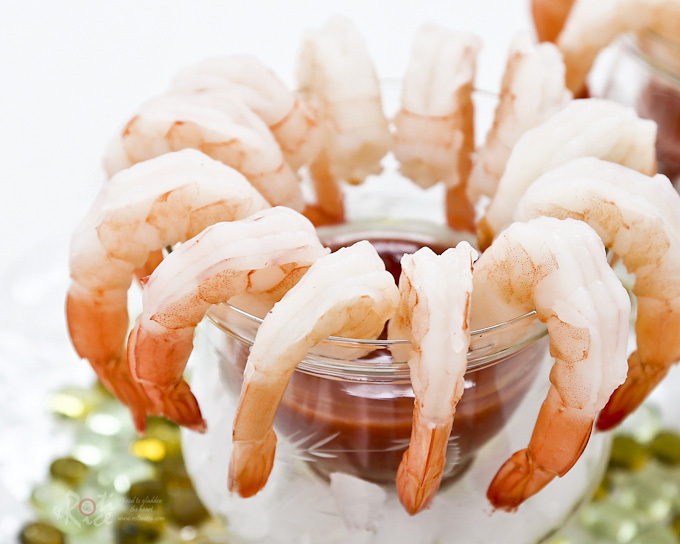 Few appetizers are easier or more delightful than Shrimp Cocktail to start off your meal especially during the holidays. 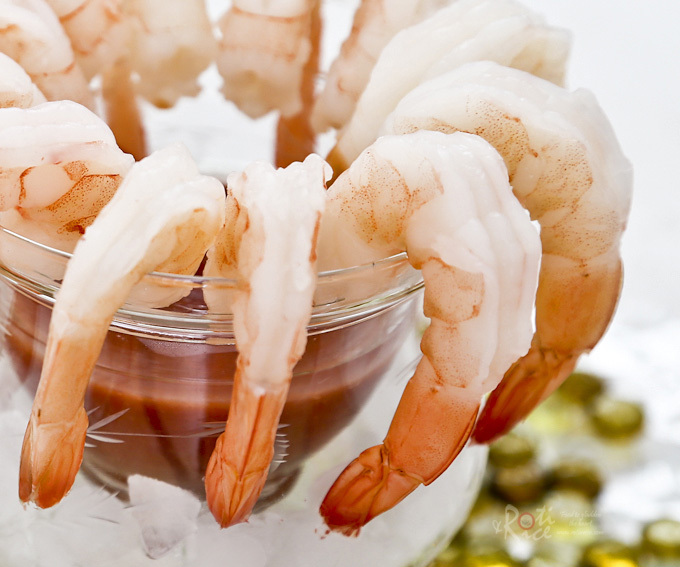 Shrimps are light and tasty and they really whet your appetite for the meal ahead. 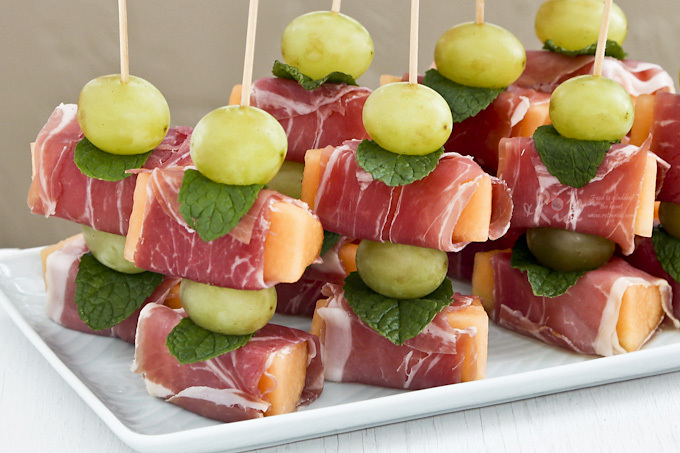 Few can resist these succulent bites dangling at the edge of a cocktail glass. The rest is just presentation. I found these lovely cocktail glasses at a second-hand store where there is a little insert for the sauce. Shaved ice can be placed in the outer stemmed glass to keep the shrimps nice and cold. An alternative is to use a wide rimmed cocktail glass. Have fun with it. Mix all cocktail sauce ingredients in a bowl and refrigerate until ready to serve. Combine 8 cups (1.9 liters) water, lemon juice, bay leaves, dried thyme, salt, and pepper in a large pot. Bring it to a boil. Reduce heat and allow it to simmer for 10 minutes. Add shrimps to the pot. Cook until shrimps are bright pink and opaque, about 2 minutes. Remove with a slotted spoon into a bowl filled with ice. When cool enough to handle, peel shrimps leaving tail on. Refrigerate if not serving right away. To serve, place cocktail sauce in a bowl or a large cocktail glass. Loop shrimps over the edge of the bowl or cocktail glass. 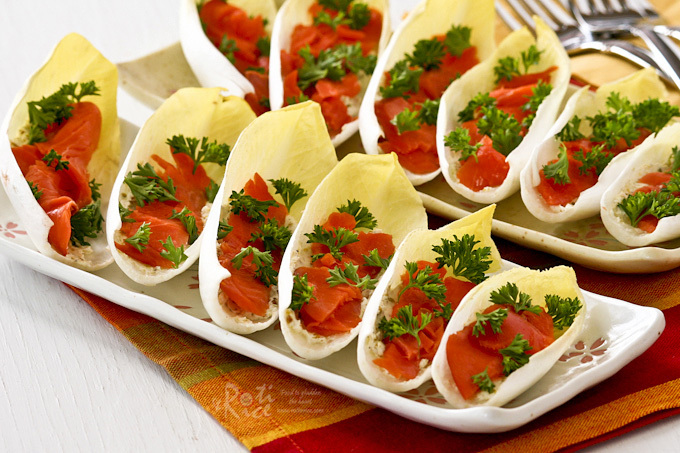 Be sure to check out the other fun and delicious appetizers on this blog. 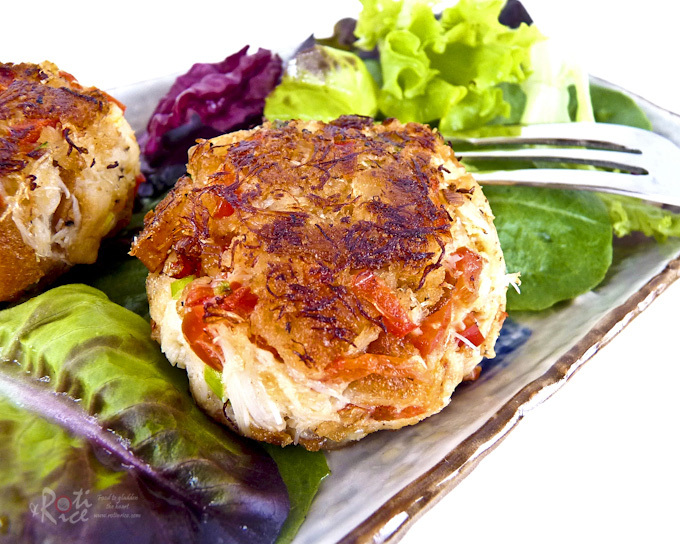 Simply click on the link or image to view recipe.